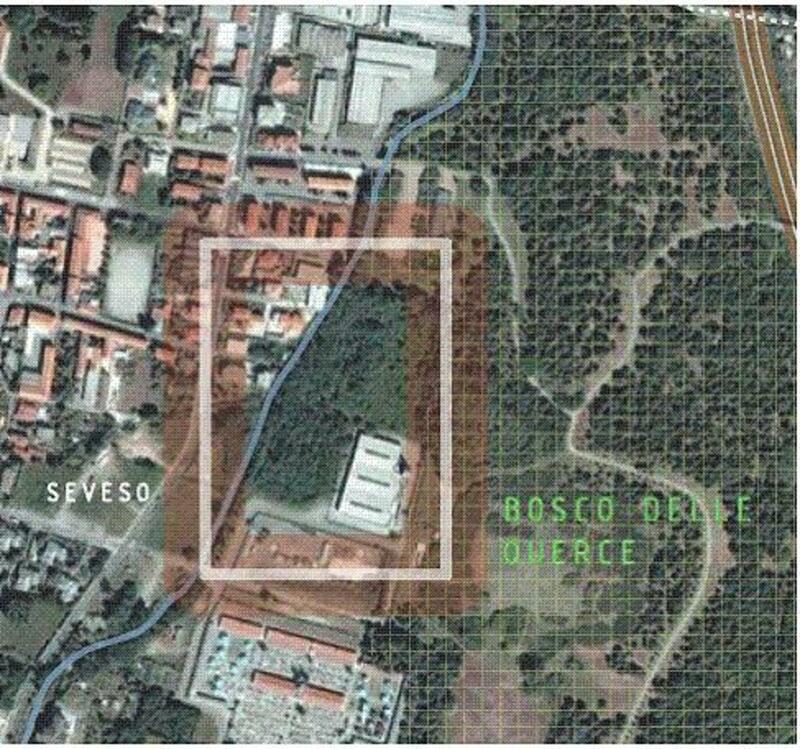 Near the small town Seveso, in Northen Italy, the ICMESA chemical plant was located. It produced intermediate compounds for the cosmetics and pharmaceutical industry, chemicals used in perfumes and flavorings, including the TCP, a toxic, nonflammable compound used for the chemical synthesis of herbicides. 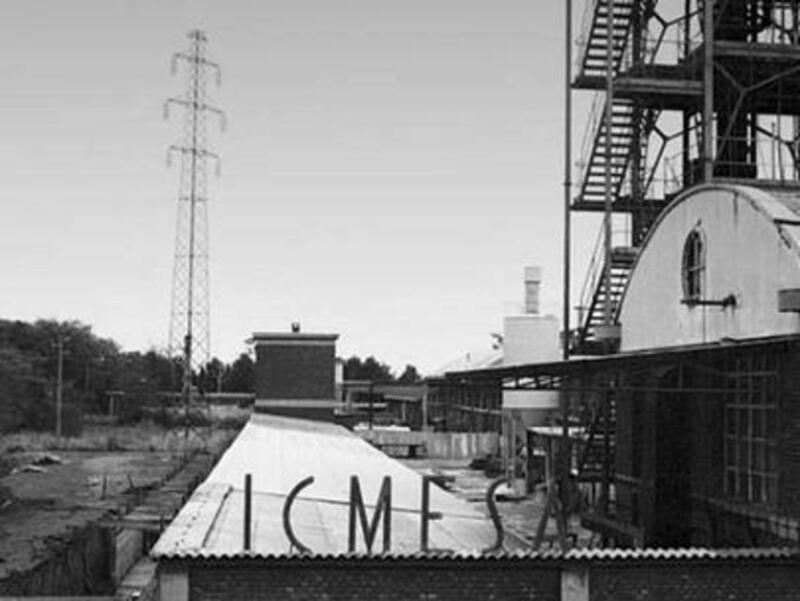 ICMESA was a small company, until 1965 when a Swiss company, Givaudan, took a controlling interest in it; the giant Hoffmann- La Roche bought Givaudan in the same year. 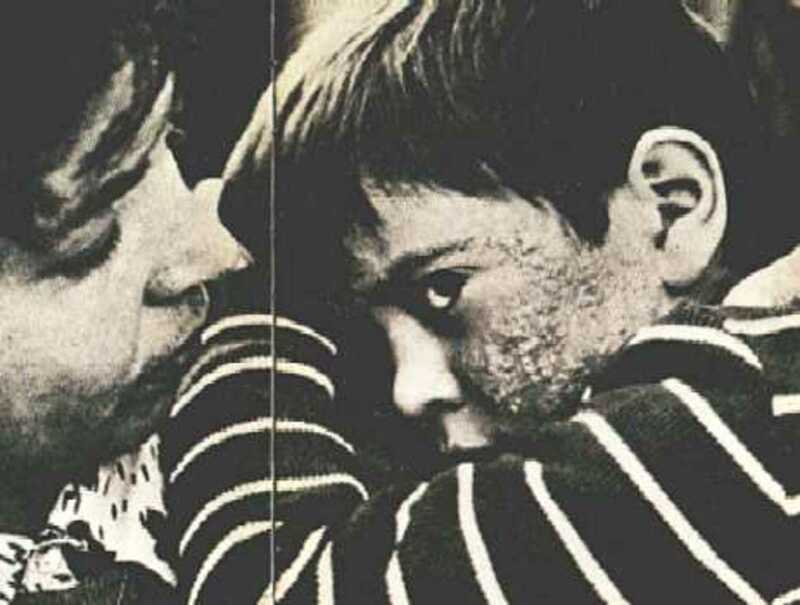 In the 1960s Givaudan's chemists developed a new way of making trichlorophenol, the essential raw material of an antibiotic, which was a profitable line until doubts about its safety surfaced in the 1970s. The company decided to install a plant running its new process in a section of ICMESA's plant: Department B. 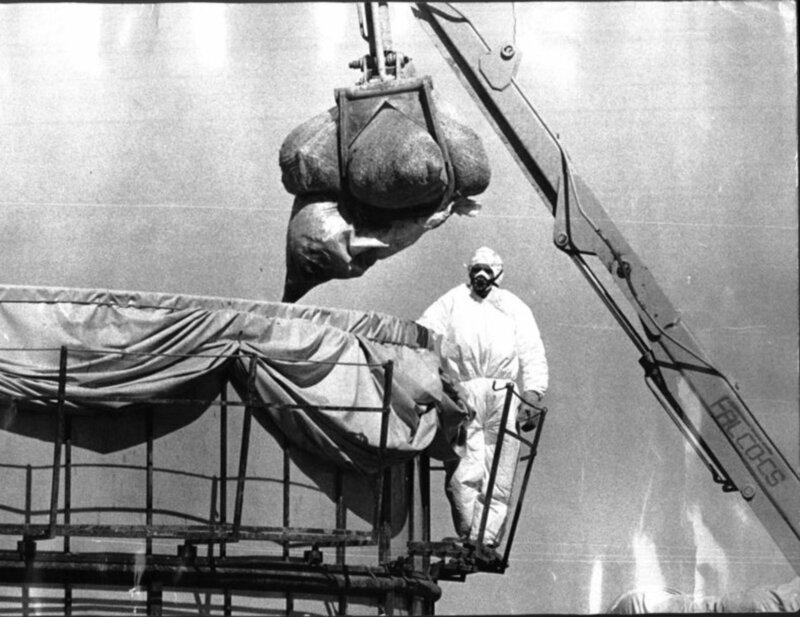 But every process for making the trichlorophenol involves the formation of an unwanted impurity called TCDD; in the 1960s, terrifying accounts of accidents involving this chemical- one of the deadliest known to man- began to circulate in the chemical industry. The most extraordinary feat of avoiding regulations was the way in which, for 30 years, the company fought off all attempts to make it observe air and water pollution regulations. ICMESA has always had a bad name for pollution. Local residents remember that as long ago as 1947, the stench was often unbearable and its workers were shunned in bars and cafes because of the smell clinging to their bodies and clothing. In the early days the waste from the processes was simply buried, burnt on rubbish dumps or poured into the Certesa, the little stream that runs past the works. Nobody bothered much for this was the period of Italy's economic miracle and jobs and profits were more important than smell or environment. 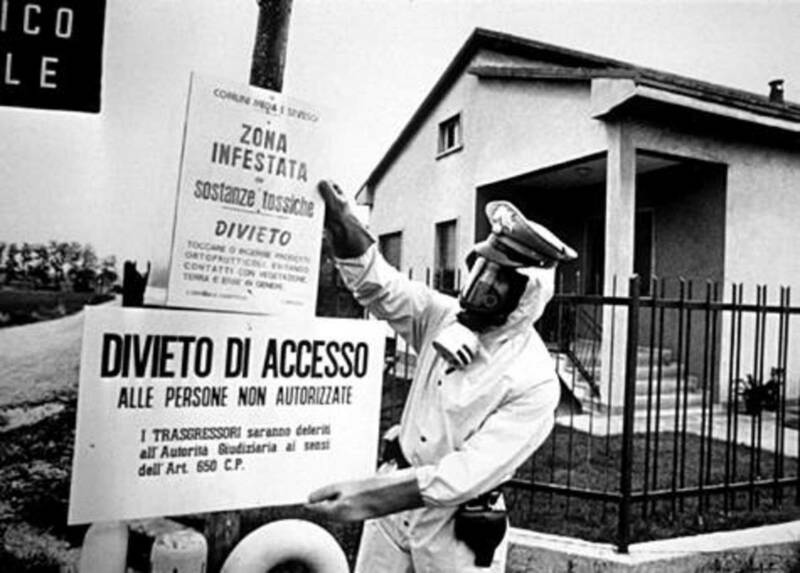 In 1957, after complaints from local people, the Provincial Health laboratory in Milan tested the stream and announced that ICMESA was polluting it with toxic chemicals; so the company was warned that it must not discharge chemicals into the Certesa. Little seems to have altered: the following year a flock of sheep waded across the stream just below the factory and promptly died from their dip. It was easier and cheaper for companies like ICMESA to compensate anyone who suffered damage and to pay the derisory fines of around £50 (around $25) for breaking the regulations than to install the complex equipment needed to prevent pollution. All advices were disregarded: the following year the Provincial Health laboratory tested the river again and found ICMESA was polluting it more than ever. 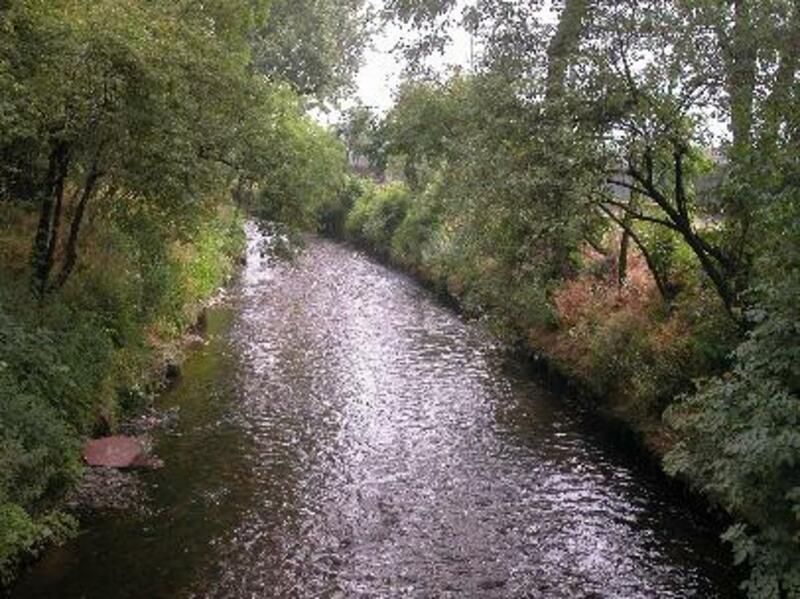 Nine months later the factory announced it was proposing to install a waste water treatment plant...but when in 1961 were carried out new tests, the stream was even more polluted! For six years more the situation dragged on, with ICMESA excusing itself, paying fines and compensation, but still polluting air and water. Only in 1972, after much badgering, the company produced a proposal for a project known as DAGH, which consisted of a water treatment plant and an incinerator for burning residues including phenolic wastes; in the following months, the provincial health autorities wrote to ICMESA asking for more urgent action and threatening "coercive measures under the health laws if steps were not taken within a month". The company did nothing but the coercive measures were not taken! In the same period, ICMESA had conceded a point and had sent to the Mayor of Meda a list of the processes it operated which might result in atmospheric pollution. In the report mention was made of an incinerator used for burning "phenolic liquors", that are now suspected of causing dioxin poisoning; however, the Lombardy Atmospheric Pollution Committee replied pointing out that the list of processes must be incomplete, since none of those included would result in phenolic wastes which the incinerator was intended to burn. ICMESA ignored all requests for more informations. The year later the company applied to the Mayor for a licence to build DAGH; at this stage it was not known officially what the company was making that involved the burning of phenolic wastes, but since phenols were scheduled as hazardous chemicals, the process was clearly being carried on illegally and was in direct conflict with any requirement. Yet the Mayor issued a licence to build DAGH without enquiring further into the undeclared (and therefore illegal) manufacturing. So, the pollution still continued and DAGH had not been completed by the time of the accident in Department B; its concrete tanks have been used to store plastic sacks containing the decaying remains of animals poisoned by dioxin or destroyed in the polluted area. But this extraordinary tale of inefficiency and procrastination of musical comedy dimension is not necessary typical of the speed with which bureaucracy works in Italy. 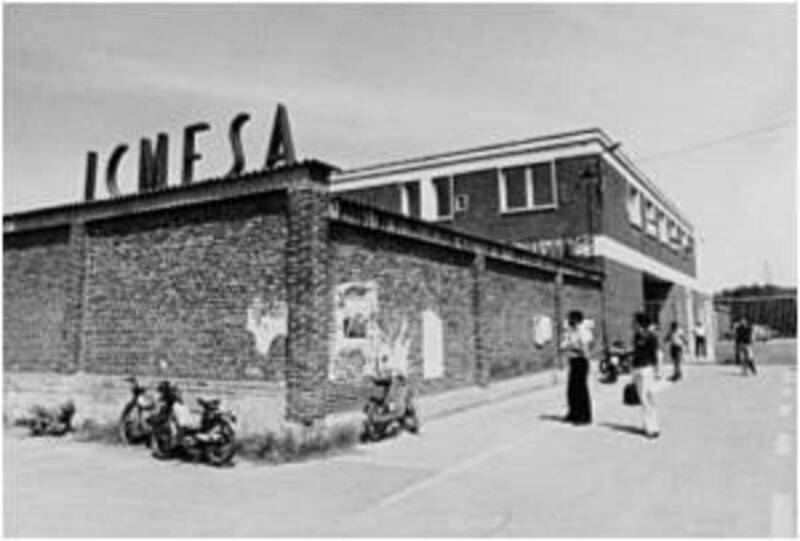 In 1975 ICMESA wished to manufacture a new product which involved the use of cyanide, another of the listed hazardous chemicals. The plant was to be provided with a special burner to destroy the excess cyanide; and soon the licence was issued by the Mayor of Meda, althought there were strong doubts from the Provincial Health laboratory. 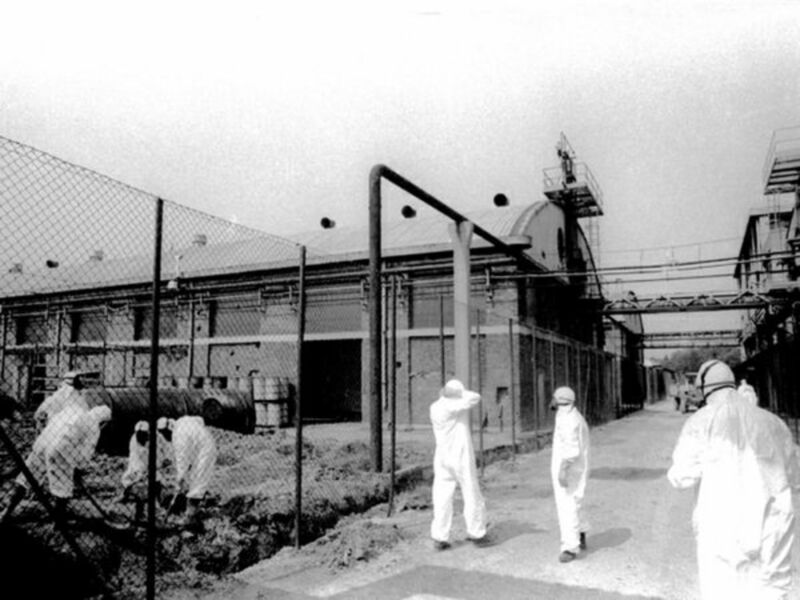 On Saturday, 10 July 1976, a major chemical accident occurred: a chemical reaction producing trichlorophenol (TCP) was left unfinished and uncooled as the last shift the ICMESA factory for the week-end. The new method- a lower cost approch- of water control for the cooling of the processes, was a slow process and the workers did not want to take the time needed; furthermore, they were unaware of the terrible consequences of overheating. The chemicals heated up spontaneously and blew safety valves in the reactor: as it was, heat and pressure built up steadily in the absence of a water shield and dioxin formed. 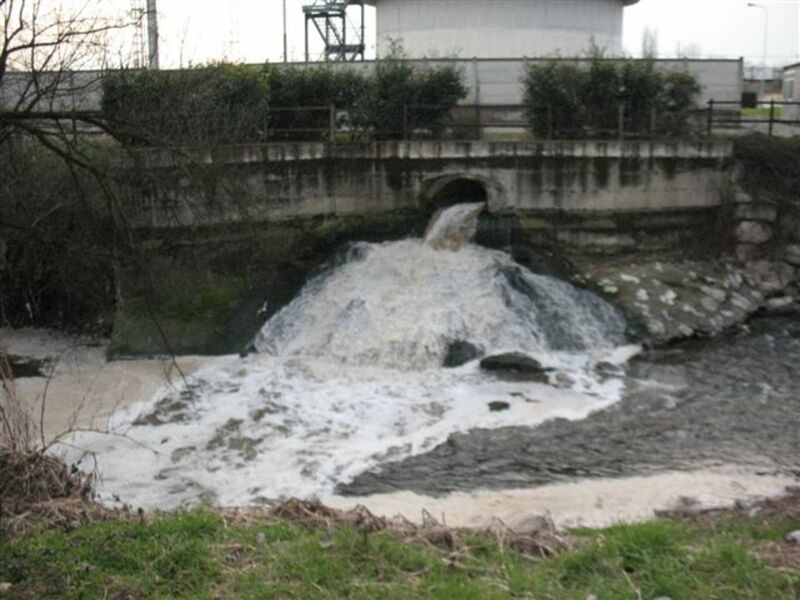 At noon the next day a cloud drifted out the factory and deposited white flakes on a large area including the communities of Seveso, Meda, Desio, Cesano and Maderno (all part of the province of Milan) and surrounding areas downwind. 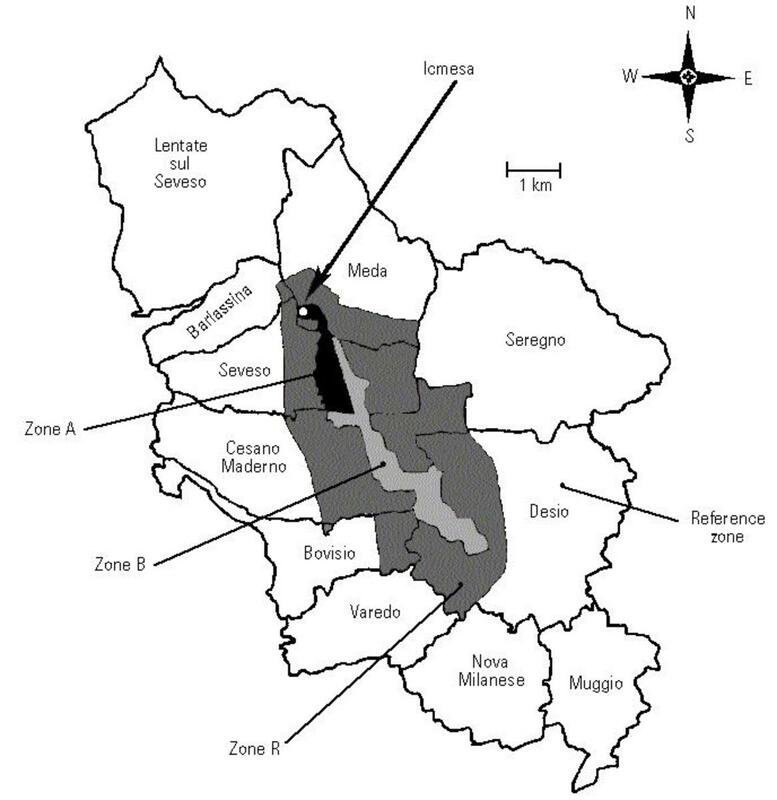 The entire affected area was part of the Brianza district of Lombardy, one of the whealthiest and most industrialized regions of Italy: this guaranteed rapid publicity throughout the world. The accident was not accompanied by the kind of noise that would have alerted people to its presence: all that was visible was a small cloud rising above the factory, some children even played in the "snow": it consisted of dioxin. 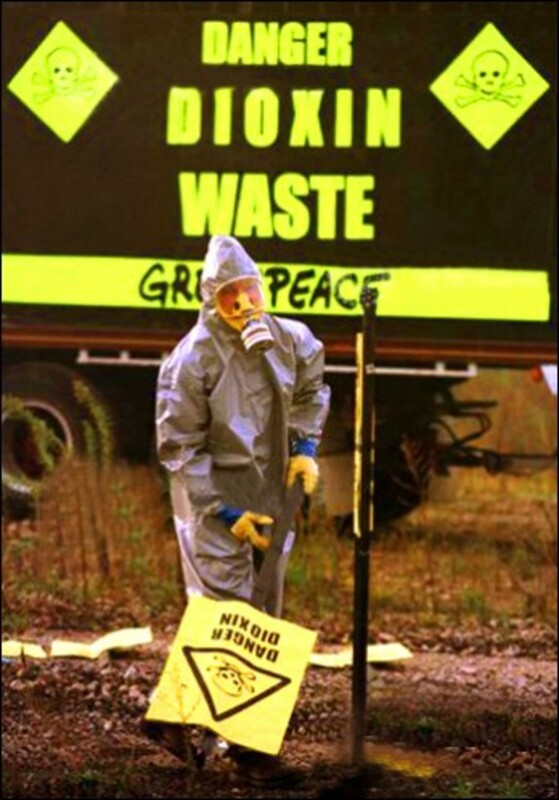 One great problem was that no one in the area knew anything about dioxin. It was known that an overheated TCP reaction, like the one which exploded, produces dioxin, a highly toxic, organic compound. In addition to cancer, exposure to dioxin can cause severe reproductive and developmental problems; it can also damage the immune system and interfere with hormonal systems. Scientists at Givaudan had discussed dioxin's extreme toxicity with ICMESA's managers. 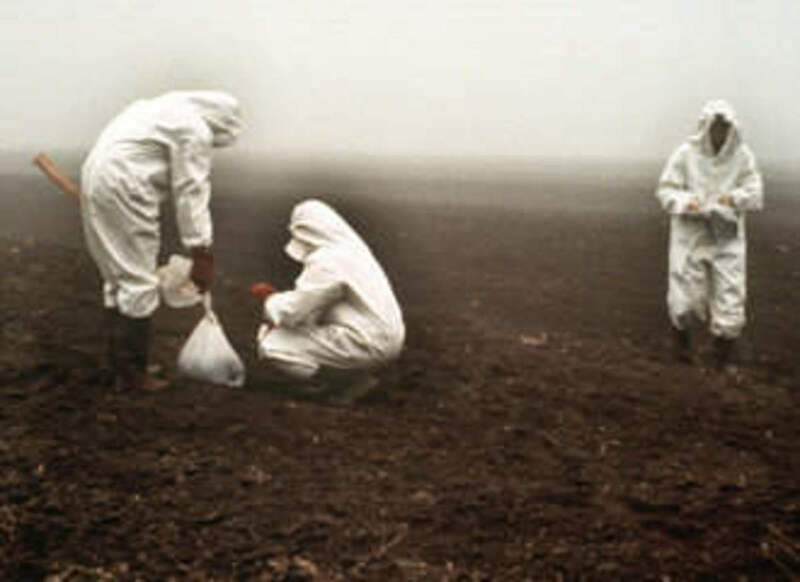 It is unclear to what extent those managers were ignorant of dioxin's properties despite this, or to what extent they kept the information to themselves after the accident...but, when Roche clinical director tried to communicate the urgency of the situation and the need to evacuate the area, to a meeting of toxicologists called to discuss the matter, he was thrown out of the meeting! 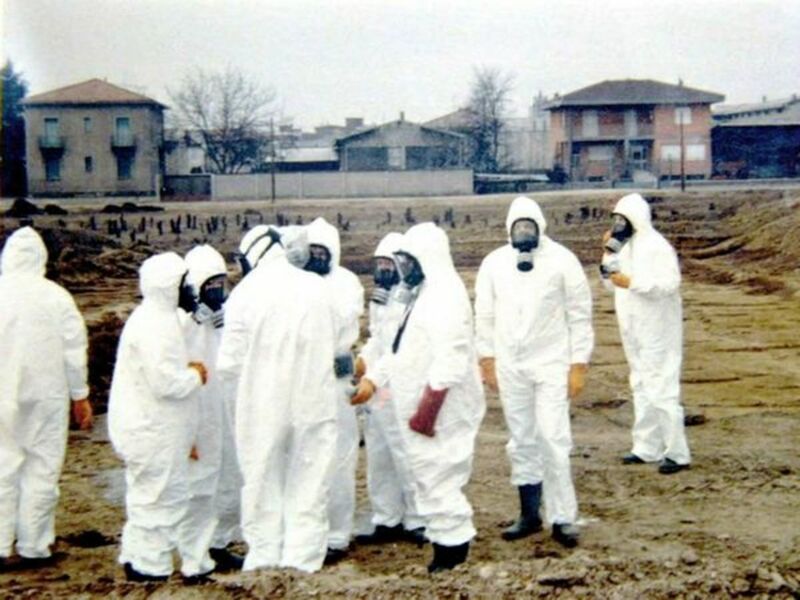 The breeze blew the gas southward over Seveso and several communities bordering Milan. The first people to observe the gas plume from the factory and detect a very unpleasant odor rushed home and shut their doors, but they found that the smoke and smell were already in the house when they arrived. Through the night they suffered headaches and nausea, next morning the children had swollen eyes and skin blisters but doctors were unable to say what the problem was: for more than a week none knew nothing. 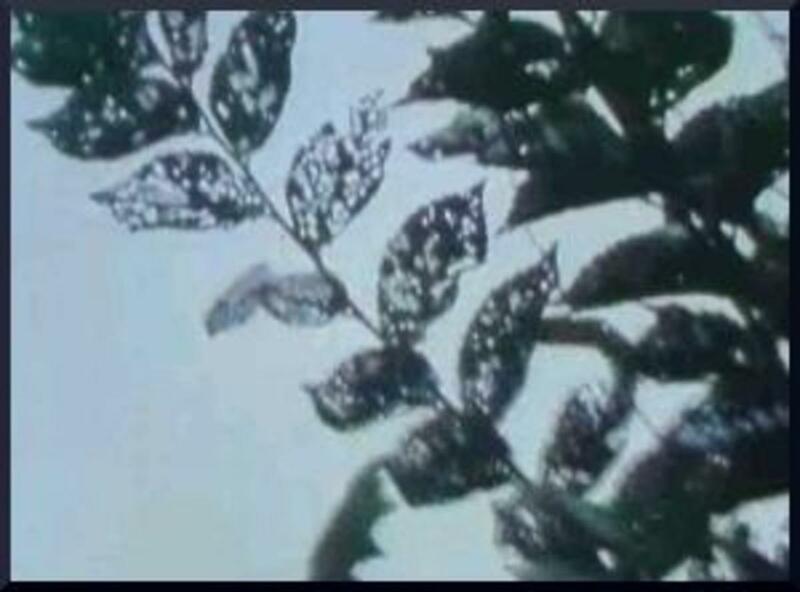 People quickly note that animals were dying by the thousands and leaves on trees were withering: the reality had become clear- there had been a medical catastrophe and the effects were likely to last a long time. No deaths have been linked directly to the disaster, but there have been mysterious deaths and illnesses in the area. 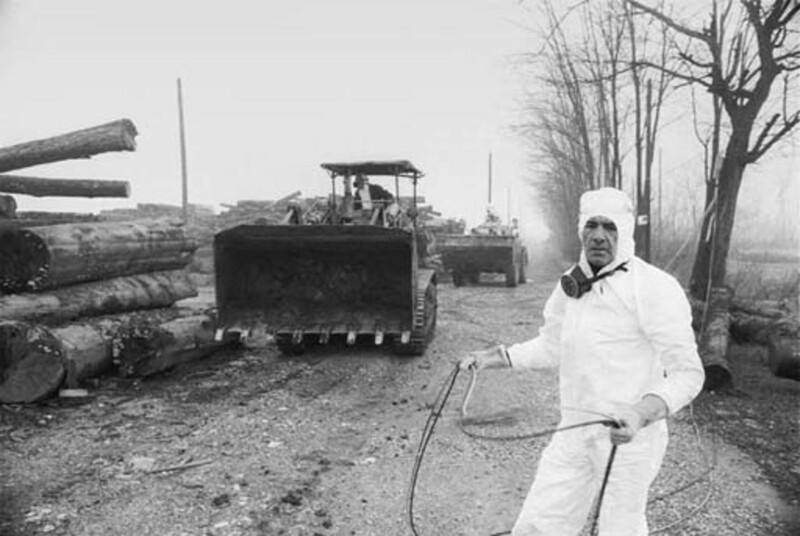 13 days after the accident, plants and animals were still dying and many people were in hospital with skin lesions and vomiting, but still the Health minister announced on TV that all was under control...only the next day, after repeated entreaties from the company that there was dioxin in the area, the minister changed his mind: evacuation of some of the contaminated area was begun only two weeks after the disaster. 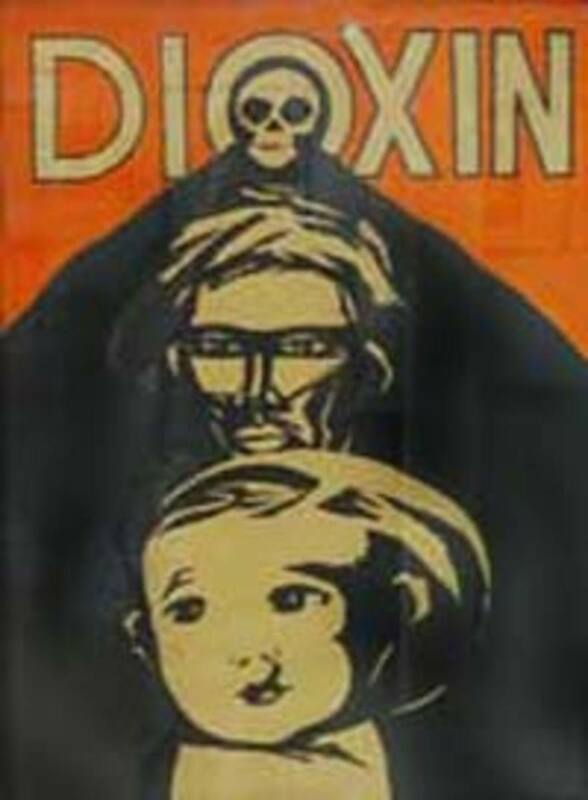 The people who had actually been exposed to dioxin had no way to find out which rumors were true, at least officially; worse, they had trouble finding out the extent to which their homes were contaminated, whether troubling symptoms were due to dioxin, or what the continuing risks were for them and their children. 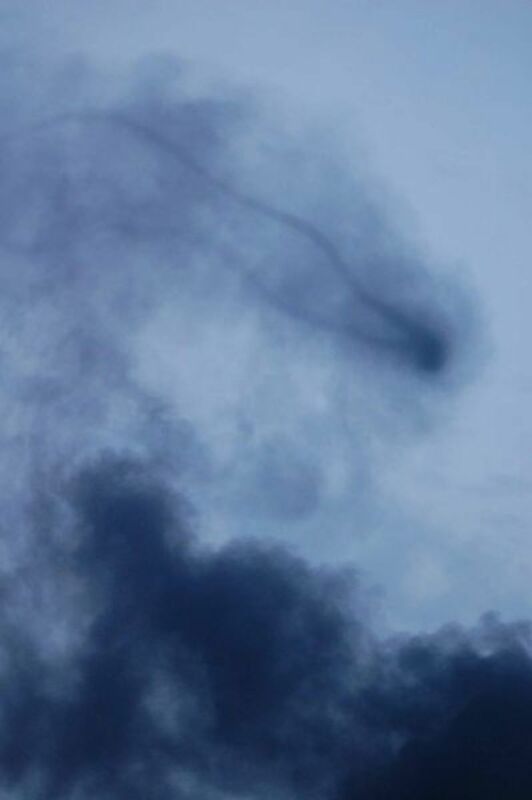 The heaviest blow of all came still later, after the gas cloud was gone. A report from the U.S. Food and Drug Administration made it clear that dioxin, even in small doses, can damage kidneys, livers and lungs. It is also extremely dangerous for fetuses, much worse than thalidomide, so the fear of having deformed children swept across Italy: many pregnant women chose to abort their fetus out of fear of congenital malformations. 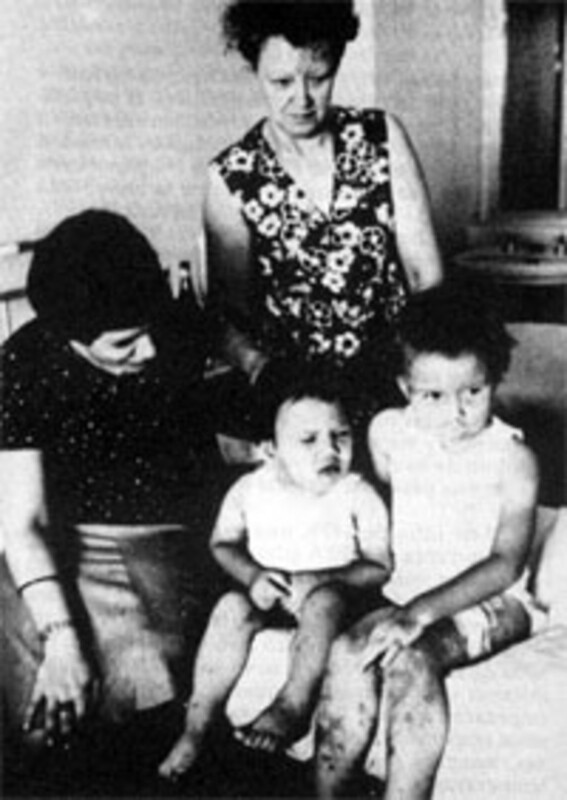 The Italian public authorities were persuaded to lift temporarily the law banning abortion, thus allowing several pregnant women terminate pregnancies voluntary. 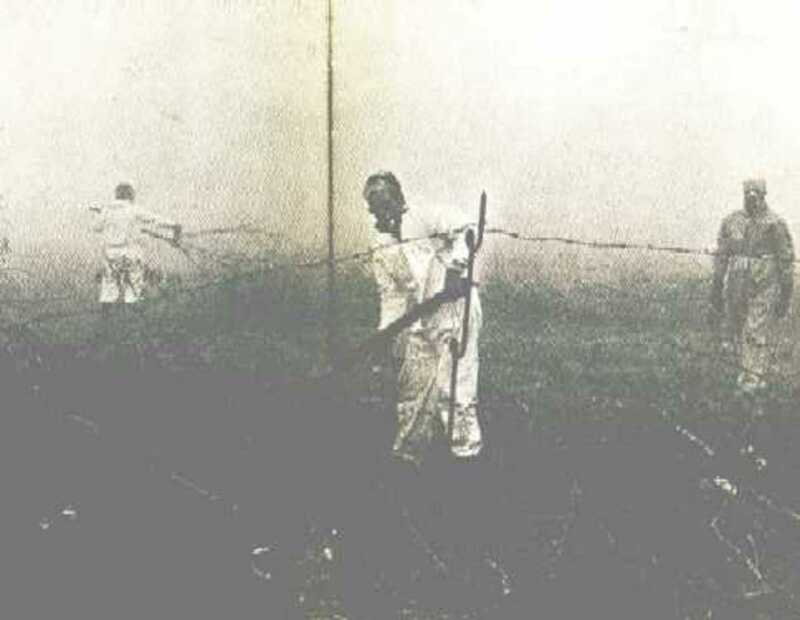 Consumption of all local produce was banned; this was followed by the destruction of cornfields and vegetable gardens, but no one knew how to ensure a complete cleanup. 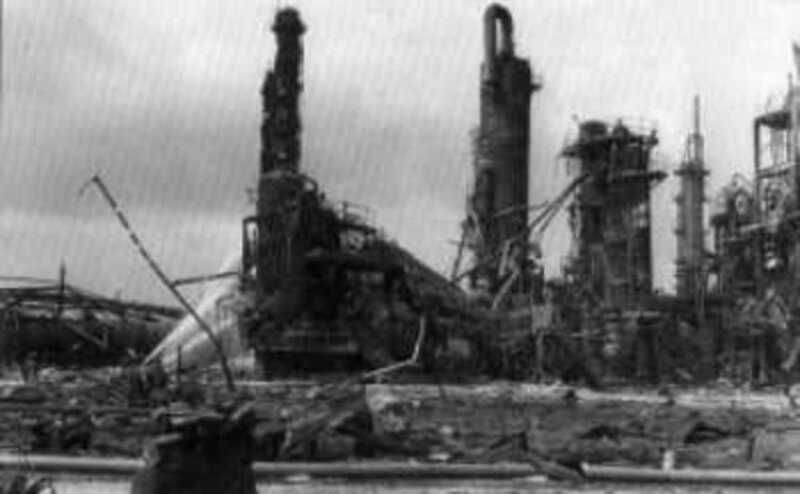 Reports from other countries were not encouraging: in Britain, eight years earlier, a dioxin spill occurred in a chemical factory, where the only solution was to pull down the whole factory building and bury it deep in an abandoned mineshaft. A reported over 100000 animals died and toxic effects persisted even after 18 months. 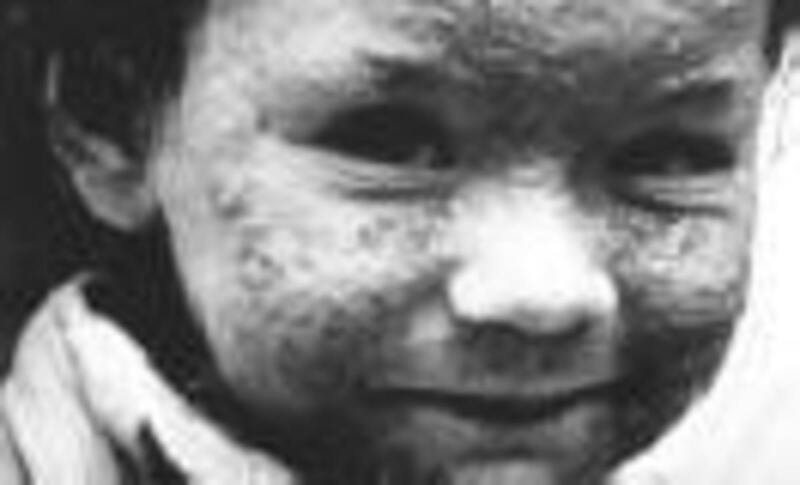 In human population Chloracne- a persistent and disfiguring skin disease, with loss of muscular strength and psychological distrurbances especially in children; spontaneous abortion in pregnant women, especially the girls near puberty showed scores of miscarried pregnancies and infants born malformed. 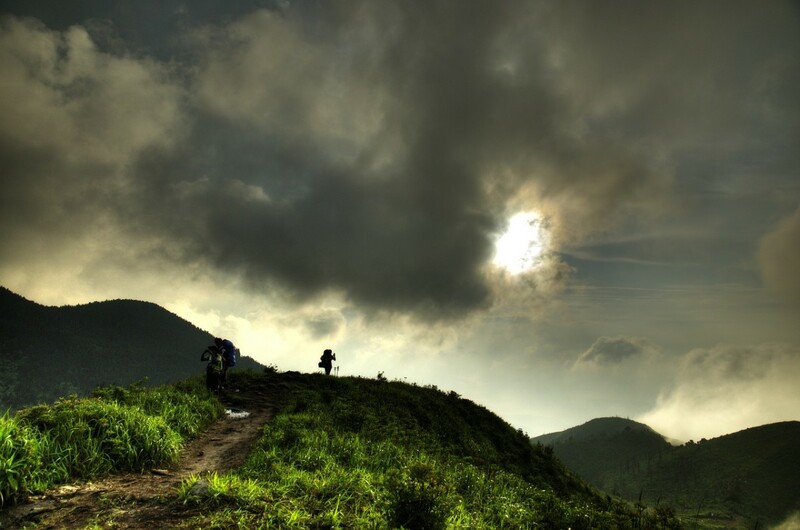 Indeed, epidemiologic studies had shown that a significant increase in cancer incidence and mortality from certain cancers and cardiovascular diseases has been reported in the contaminated area. 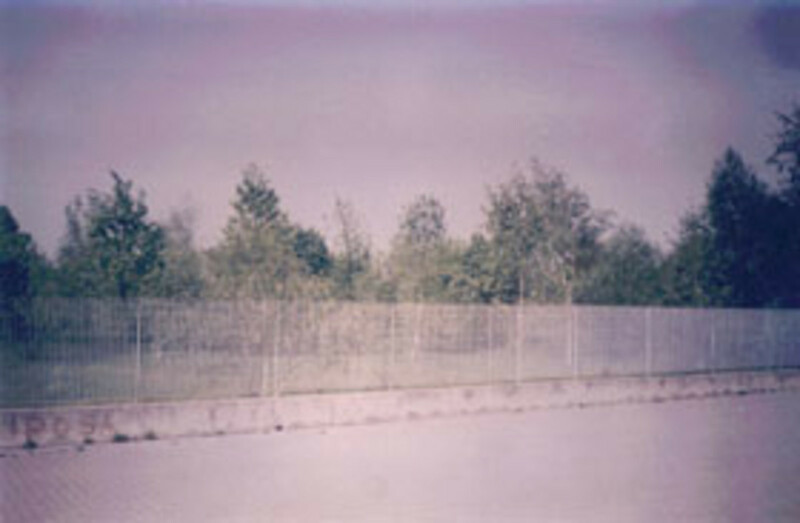 The disaster could be evitated: there is the Health law of 1934 that requires that factories that produce "vaporous or gases or other unhealthy emissions" to be sited away from populated areas, unless it can be shown that special precautions have been taken to protect the health of the people in the neighbourhood. 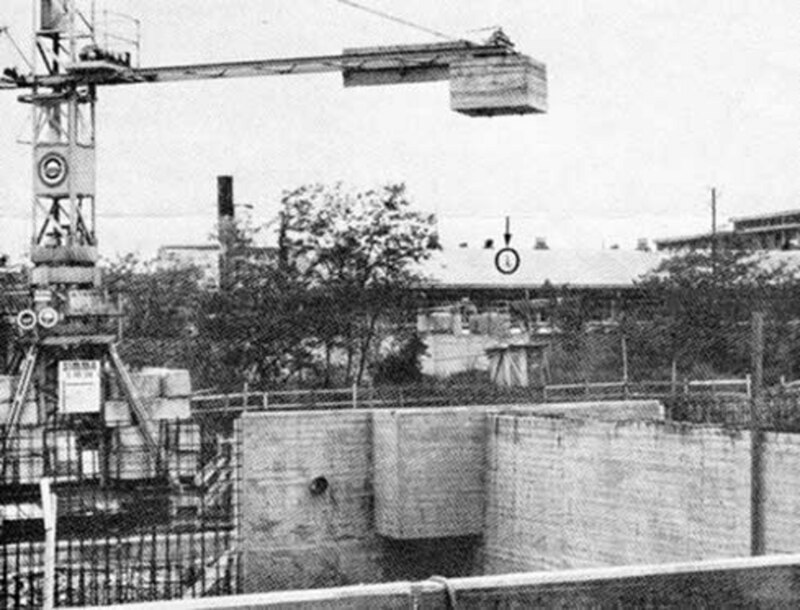 The schedule of operations that may be hazardous to health (as revised in 1971) includes the "production, storage and use of cyanide and cyanide compounds, chlorine, phenol..." A company wishing to work with these substances must give 15 days' notice of its intention in writing to the local mayor. The commission found that ICMESA started TCP production in 1970 without giving any warning to the mayors of Meda and Seveso. ICMESA, according to the commission, flouted many other laws and regulations. It failed to inform the employees about the risk of the processes they operated. It failed to set up a work environment committee, as was required by the Employement law of 1970. It did not issue a "personal risk booklet" to its employees. It failed to have its plant, including the equipment used for producing TCP in department B, checked for safety at the appropriate intervals; moreover, from 1974 until the time of the accident, Department B operated even without a fire certificate. 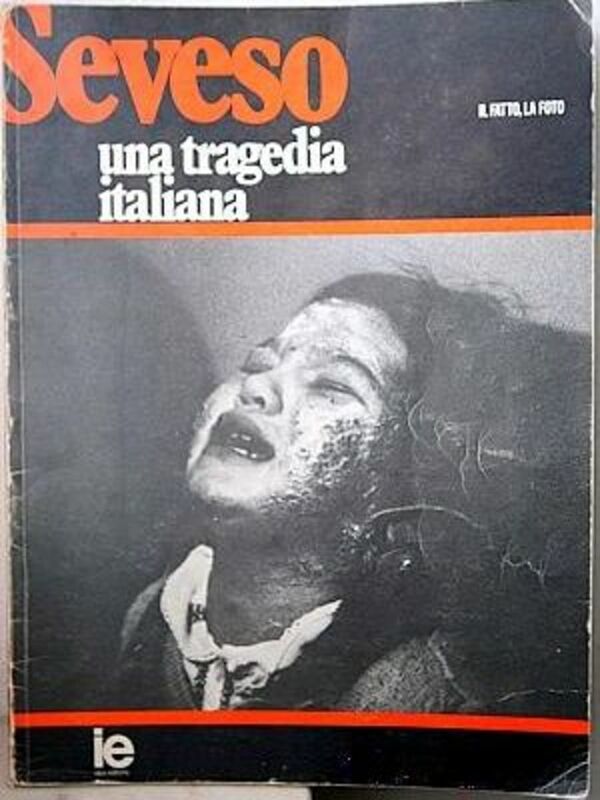 In parallel with the legal process, after almost a year of discussion and debates, the Italian government set up in 1977 a parliamentary commission of inquiry into the accident and its effects on health and environment, which produced a long report in 1978: it revealed an almost total disregard by ICMESA for the maze of health and safety laws intended to control the Italian chemical industry and the failure of the many authorities and official bodies involved to check whether the law was being observed. Criminal investigations followed the release of the dioxin cloud, concluding that the flow of refrigerating water that cooled off the TCP vessel had been inadvertently stopped by an ICMESA employee; at trial, the prosecutors showed that the employee's negligence was made possible by ICMESA management failure to put in place safety measures that would have prevented the accident from happening. Consequently, in 1983, five ICMESA managers were convicted for "negligently causing...a disaster" and from omitting to put to safety measures in place; by contrast, no managers of the Swiss parent corporation were convicted, however in the aftermath of the criminal trial, the parent corporation reached an agreament to compensate all pecuniary damages arising out of the dioxin leak to all victims and, later on, to the Italian Government. However, nonpecuniary damages, which can be awarded if the wrongdoer is found criminally liable for same actions that caused the injury, were left outside the scope of the settlement. The final immorality of ICMESA was that Hoffmann-La Roche had the benefit of a profitable product while all the area of Seveso is still now paying for La Roche's profits and for the arrogance of the engineers and managers who set up the trichlorophenol plant.